ST. PETERSBURG, FL – The USF College of Marine Science (USFCMS) has been awarded a National Science Foundation Grant ($305,139) to determine the influence of ocean temperatures on coastal glaciers in East Antarctica over the past 18,000 years. 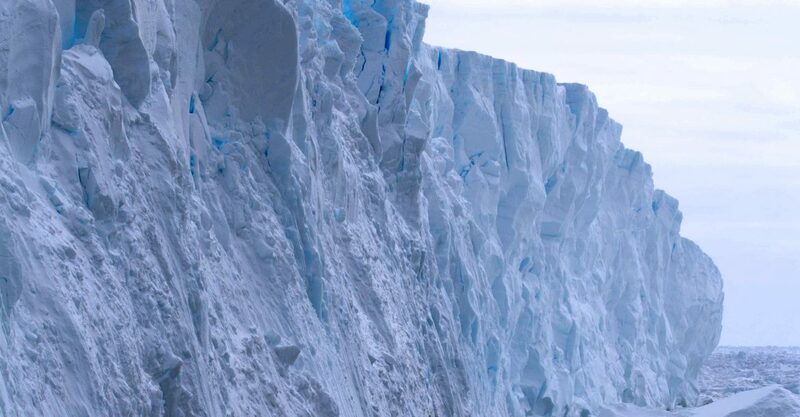 The Totten Glacier in East Antarctica contains enough ice to raise global sea levels by ~3.5 meters and is presently retreating due to the influence of warm ocean waters. USF principal Investigator Dr. Amelia Shevenell and CMS graduate student Kara Vadman will study sediment (mud) that they collected in 2014 from the seafloor offshore Totten Glacier. These sediments contain the remains of microscopic marine organisms that provide a record of past environmental change. The USF team will use new geochemical techniques to reconstruct past ocean temperatures and glacial advances and retreats. Results will be integrated into ice sheet and climate models to improve the accuracy of ice sheet boundary conditions and future sea level predictions.